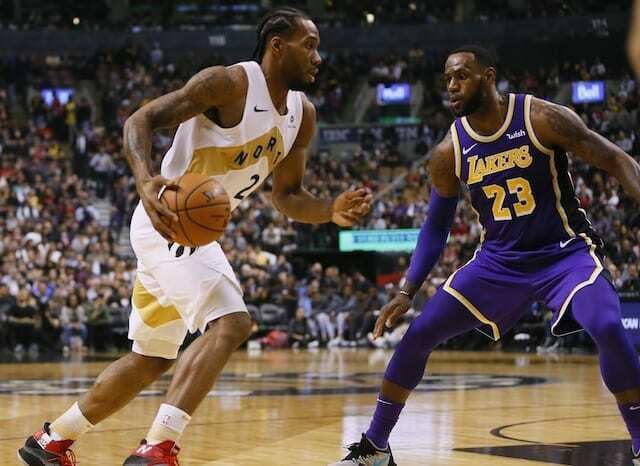 Since signing a four-year contract with the Los Angeles Lakers in free agency, there have been several checkpoints of sorts for LeBron James. The first was a public appearance, when James donned Lakers shorts to watch his new teammates play in the Las Vegas Summer League. Then there was James’ first remarks after signing the deal, which came in a video he released through his Uninterrupted network. James’ initial press conference with team came on Media Day, then there was the first preseason game in San Diego that had added buzz. 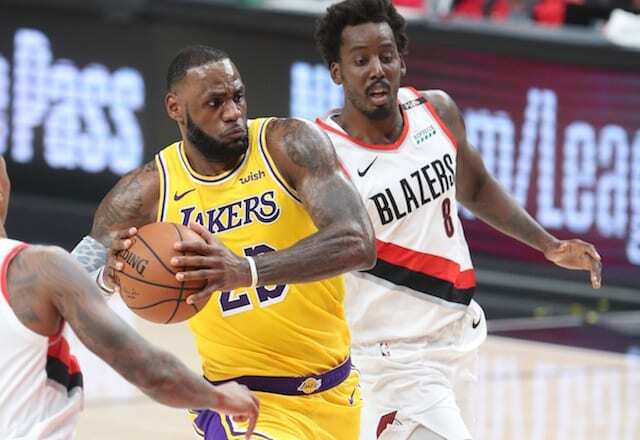 While he had already taken the court in a Lakers uniform, seeing James and the team do so to open the season Thursday night in a season opener against the Portland Trail Blazers brought about a whole new level of excitement and anticipation. And if there was any question as to the level of interest that came with it, TV ratings for the exclusive TNT broadcast further tell the story. The network announced James’ debut with the Lakers garnered a 2.6 household rating. That’s a 63 percent increase from a comparable game (Lakers-Clippers) that TNT televised last season. 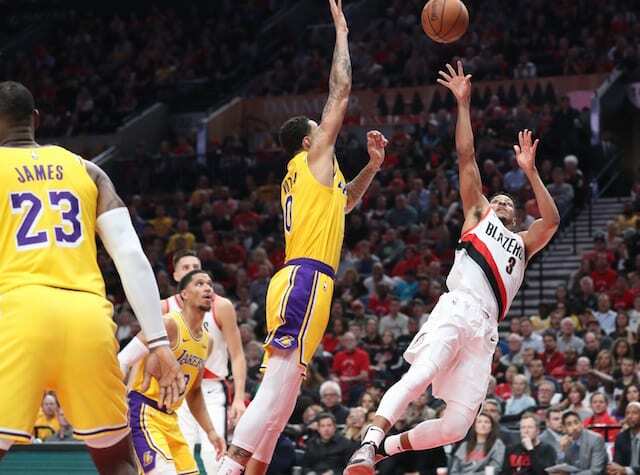 Additionally, the Lakers-Trail Blazers matchup peaked with a 2.9 HH rating from 8-8:15 p.m. PT. That’s TNT’s highest rating for an NBA game in the Los Angeles market since garnering a peak of a 6.99 HH rating in 2014. Thursday was the first of 43 nationally-televised games for James and the Lakers this season, which is most in the NBA.